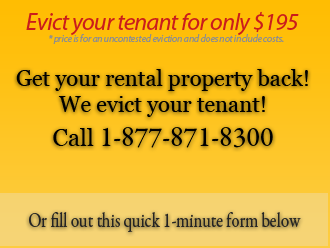 The tenant has 5 days (excluding Saturdays, Sundays, and Legal Holidays) to file an answer to a landlord’s complaint. 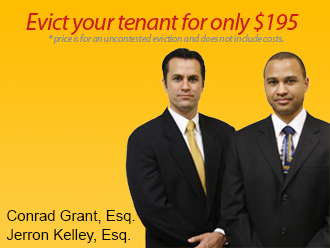 If the tenant files an answer to your complaint, the eviction becomes contested. An answer can be any type of response, even a handwritten note from the tenant to the Judge. If an answer has been submitted it is strongly advised that you retain an attorney. After filing an answer, the case can take many unpredictable turns, depending on what the tenant said in the answer. This can lead to protracted litigation, hearings, mediation, and even trial. An attorney can help you navigate through this process and avoid the countless legal pitfalls that you may encounter. This is especially true if the tenant has paid representation or legal aid. Get legal help! Call our law offices today at 1-877-871-8300.